I had the pleasure to attend the opening of the Whio hardening facility at the National Trout Centre on behalf of the Advocates For the Tongariro River. I have always been fascinated by these birds on the river. At dusk it is common to hear one or a pair of birds flying just above head height giving their whistling noise which gives rise to their name. They are also known as the Blue Duck. Like most of our native birds they do not show fear in the presence of people and animals that can be a severe disadvantage to them. 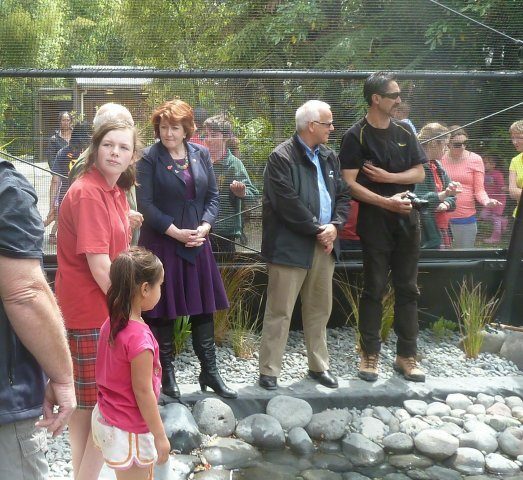 The facility at the Trout Centre is a wonderful additional attraction to the Trout Centre (The Genesis Freshwater aquarium, The Museum, The grounds, The Children’s fish out pond, The underwater viewing chamber on the Waihukahuka stream that flows through the centre grounds, the trout that congregate under the bridge down to the trout centre and then the natural setting of the grounds with the Tongariro River flowing through it.Add to that the Tongariro River Trail as an access for walkers and cyclists. It truly is a wonderful experience. The facility we learned was paid for by Genesis Energy and it was fitting that their CEO, Albert Brantley was present to speak on partnerships. It was pleasing for me that I was able to speak with Albert and convey our appreciation for the support given by Genesis in developing the Tongariro River Trail. Maggie Barry as Minister of Conservation entertained with her passion for conservation, her humour and ability to cope with the strong winds playing havoc with her skirt, and the practiced voice of someone who has worked with media. She spoke very well and was well worth listening to. Te Ngaehe Wanikau on behalf of Ngati Tuwharetoa spoke with humour support and passion. Then the six young birds were released into their new environment. The hardening process is to take chicks not raised by the parents into an environment where they learn to forage and support themselves in the wild when they are released. One of the dangers that they face in the wild in an urban environment is that they can be prey to dogs roaming freely. 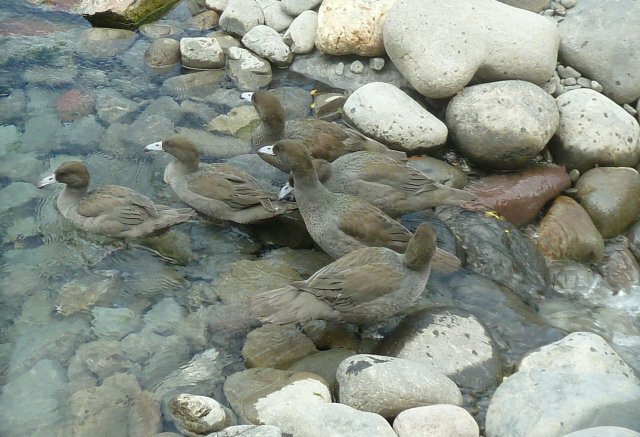 The optimism fo the future is that the numbers of whio are steadily building. It was said that the Whio in the river is the same as the canary in the mine. 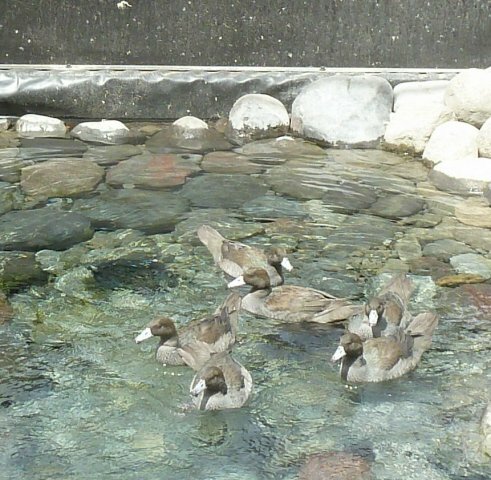 The Whio lives only in good water. It is a torrnt duck that lives in fast flowing water. We are indeed fortunate to have such a bird as a regular in the Tongariro River catchment. It is yet another reason for this catchment to be so special. I have had difficulty in contacting those with a hotmail address. Many servers do not like these addresses and emails to them fail to get to their destination. All emails to hotmail addresses from me last week failed to reach the intended destination. I will see if I can send in another way. This will probably be my last blog for 2014 and I take this opportunity on behalf of the committee to wish you a happy and safe festive season and that 2015 will be a rewarding year for you. Advocates For the Tongariro River.